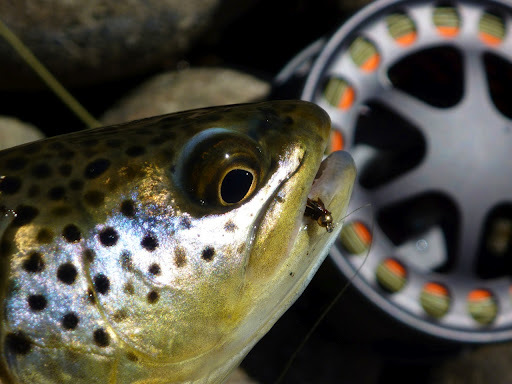 CHECK OUT ANDY WAYMENT’S ARTICLE, "TEN FLIES FOR IDAHO GUYS . . . AND GALS." I wanted to share with the followers of Upland Equations my latest writing endeavor. I was approached last month by an online magazine called, Southern Idaho Living, to write articles on hunting and fishing. Excited to branch out, I contributed an article for the May issue on good flies for Idaho waters entitled, “Ten Flies for Idaho Guys . . . And Gals,” which was just published this morning. And it turned out great! 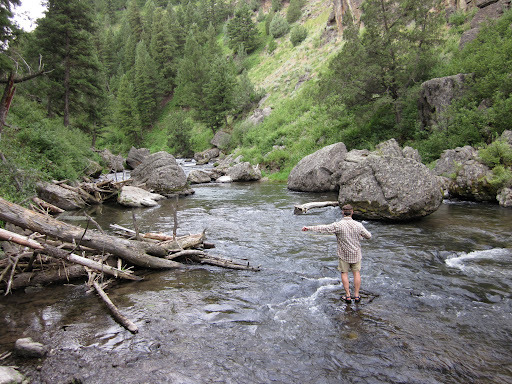 Matt Lucia fishes a remote canyon creek in Eastern Idaho. This is one of many of the beautiful photos featured in the article. Idaho is a fly fisherman’s paradise. This great state has it all from small freestone, pocket-water streams to raging rivers, warm-water reservoirs to alpine lakes, and meandering meadow streams to ultra-technical spring creeks. You can pretty much pick your passion and go with it. That’s what I love about this state. For someone who is just starting out, this smorgasbord of fly-fishing goodness may seem a bit overwhelming. A good selection of flies for your fly box is an excellent place to start. While my boxes contain hundreds of other patterns, below are ten tried-and-true patterns for Idaho that I never leave home without . . . . If you want to learn more about my go-to flies, you will have to go read the article! Here is the LINK. Please check it out and let me know what you think. This Brownie fell for a Pheasant Tail Nymph. Thanks for stopping by and keep fishin with faith!